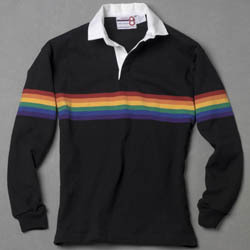 The Number 8 Rugby Shirt is the finest jersey you will ever find. Our 100% cotton rugby shirts are pre-shrunk and pre-washed for a lasting fit and soft feel. We make all of our shirts with yarns that are pre-dyed to show off the vivid colors. And, as if that wasn’t enough, they are made, with pride, in the USA.